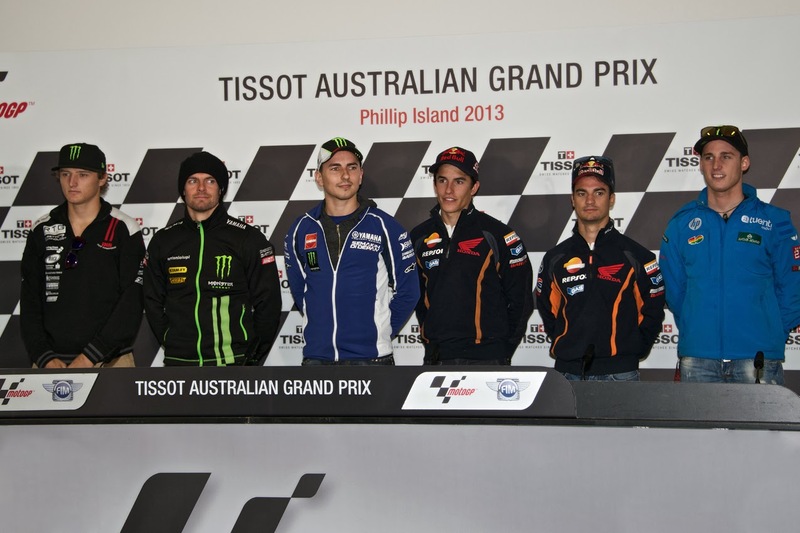 The Tissot Australian Grand Prix got underway today with the regular pre-race conference, where this weekend’s possible title contender, Repsol Honda Team’s Marc Marquez, was joined by his main rival, Yamaha Factory Racing’s Jorge Lorenzo, Repsol teammate Dani Pedrosa, Monster Yamaha Tech3’s Cal Crutchlow, Tuenti HP 40’s Pol Espargaro and Caretta Technology – RTG’s Jack Miller. To mark the occasion of a possible World Champion being crowned at the race this weekend’s race in the form of Marquez, the 10 contenders across all groups lined up for photos before the press conference. Moto3™ saw Red Bull KTM Ajo’s Luis Salom joined by Estrella Galicia 0,0’s Alex Rins and Team Calvo’s Maverick Viñales, whilst in Moto2™ there was the Marc VDS Racing duo of Scott Redding and Mika Kallio along side Tuenti HP 40 riders Pol Espargaro and Esteve Rabat. In MotoGP™ it was the Spanish trio of Marquez, Lorenzo and Pedrosa. In separate news, LCR Honda MotoGP’s Stefan Bradl, who fractured his right ankle in a crash in Sepang, has been declared fit to ride in FP1 tomorrow morning. He will however will be reassessed after the session. 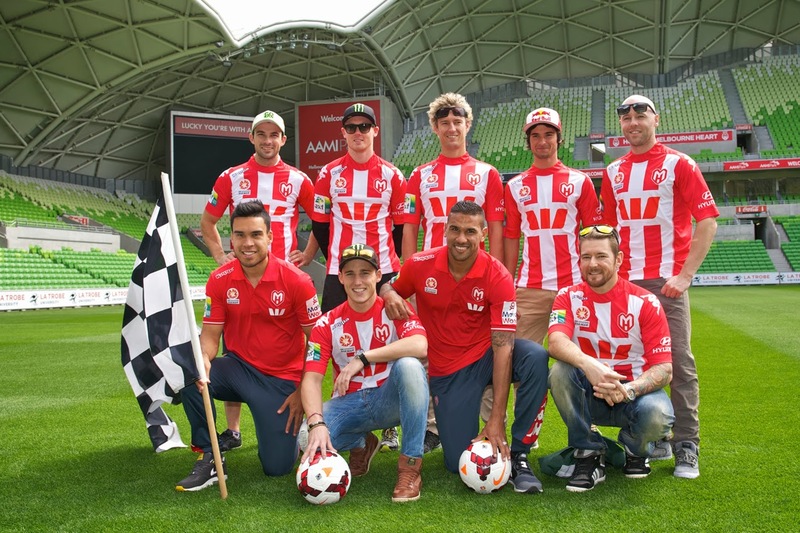 Yesterday, a group of riders including Tech3’s Bradley Smith, GO&FUN Honda Gresini’s Bryan Staring, PBM’s Damian Cudlin and Michael Laverty, Pol Espargaro, QMMF Racing Team’s Anthony West, as well as Red Bull KTM Ajo’s Arthur Sissis, met some of the stars of Melbourne Heart FC at the AAMI Park in the city for a quick training session. Players Patrick Kisnorbo and Iain Ramsay shared some of their on-field wisdom with the riders clad in Heart FC shirts, before being handed a chequered flag of their own to mark the occasion.